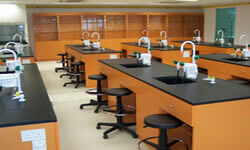 Assessing the design criteria, specialized furniture, and functionality of a new lab project or remodeling of an existing lab environment involves a high degree of experience, is time consuming and consumes a high capital expenditure for the facility. 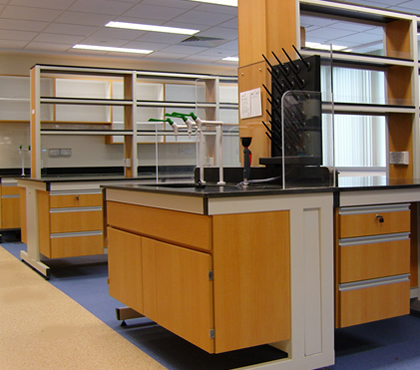 The casework and furniture requirements has become a specialized responsibility for schools & universities, biological and science R&D facilities, along with general science and testing labs, food technology, pharmaceutical companies, etc. 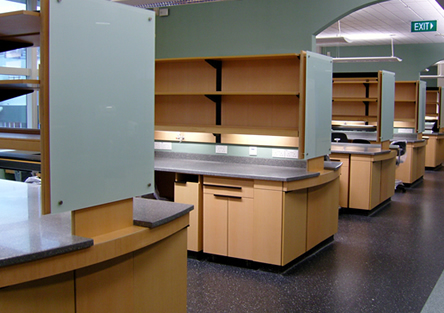 Fume cupboard / cabinets are far more involved than in years past and all testing facilities should have a state of the art environment to conduct experiments while maintaining current design criteria and innovation plans. Based on customer needs and wants coupled with functionality, safety and aesthetics, empty rooms or existing facilities can be designed and enhanced with modern design and layout features. 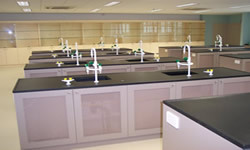 Steel Furniture: From our facility in Singapore & Malaysia, Insul-Serv, Inc. is pleased to offer Casework & Benches, fume hood cupboards and related products in Epoxy powder coated cold rolled or EG-Electro Galvanized sheet metal, die-formed, notched and assembled into finished casework systems. C-Frame self supporting and modular metallic frames are made of cold rolled steel tubing coated with epoxy resin for increased rust or corrosion protection. All steel framework is made from 30 x 30 mm cold rolled mild steel of thickness 1.5 mm minimum and has been sand blasted, primed and polyester or Epoxy powder coated in the required color, to a thickness of 100-180 microns and cured at 260 degree C temperature. Each Steel framework has been designed with safety in mind with safe loading of Duratop Epoxy worktops or Solid Phenolic, of up to 215 kilograms per square meter. Wood Furniture: Should wood furniture be specified or required, our production facilities also custom manufacture and provide furniture grade plywood underbench cabinets, sink cabinets, tall storage cabinets and wall cabinets with 18 mm thick Weather & Boiled Proof (WBP) Plywood in all specified sizes. The plywood is finished with 0.9-1.0 mm thick melamine laminate or, if required, 0.9-1.0 mm thick chemical resistant grade laminate, on both sides. All exposed edges of carcass will be edge finished with 0.45 mm thick PVC tape using hotmelt glue at 205 Degree C.
Bench Topping Options: Various work top options are available and in compliance with ISO & SEFA standards, offer high resistance to chemical and acid-alkali attack, along with resistance to high temperatures. Epoxy resin Duratop Epoxy offers durability, chemical resistance, dependability in a multitude of colors and thickness / sizes. 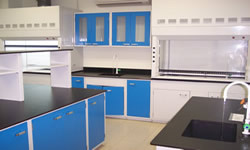 Contact ISI - Total Lab Solutions today for particulars of our materials and a price quotation for your new or soon to be remodeled laboratory.